If I have a bad airbag clockspring on my 2004 Nissan Murano then what should I expect? Your airbag or SRS warning light will probably illuminate. You may also notice that your stereo/radio, cruise control, horn, or anything that has operations through your steering wheel will not work properly. However, they may work only sometimes and not work other times. You may have fuses that blow and that may cause a short circuit. You may notice that you see electric arcing and smoke from your steering wheel. How does this item get damaged? It doesn’t make sense. It is not like I’m beating on my Murano’s steering wheel. A crash can damage the springs. Your clock springs can become worn over time and stop working which could cause a short and make systems connected to the same system not work. I’m confused about whether or not I can drive with this problem. Could you shed some light on this fact if you know? We can say that we do not recommend it. A horn and the airbag are both considered vital safety features. They are both connected to the vehicle through the steering wheel and airbag clock spring. If the airbag clockspring is bad then those systems will be compromised. A compromised system will also take down the Supplemental Restraint system as well. The supplemental restraint system is what inflates the airbags in a crash. In short, your safety will be compromised to a very high level to the point where you almost would have no protection if you were involved in an accident. If this is just a spring and it is in the steering wheel then I can just do this myself, right? It can’t be that hard. There is a complex underworking as it relates to this piece. It crosses right into the supplemental restraint system. The supplemental restraint system should not be tampered with if you do not have the experience to work with such a system. An experienced technician will have to do a very thorough test of the system to find problems or failed components. They will also be able to reset the system so that it works properly after working on it. You will need to have this special software to accomplish that same result. If this is such a difficult job and requires special tools then how do you do this job at all? The battery will have to be removed so that your supplemental restraint system will not get accidentally activated. Once that is done then the driver side airbag and steering wheel can be removed safely. The wiring harness will have to be accessed. There is a process to get to that piece because the trim components found on the steering column must be removed. The lower components on the dash assembly will have to be removed as well so that the harness plugs can be accessed. After all those pieces are removed then the clock spring is removed and replaced. Everything will have to be put back in place and the system will have to be reset via the special software. Is there a certain time or something that would tell me that I should look at my airbag clocksprings as something I should get repaired on my Murano? The truth is that airbag clocksprings are made to last as long as the vehicle lasts. There are many people who do not have a problem with these. However, there are cases where, especially in older models, clock springs get older and more likely to become brittle and break. Also, if someone works on your vehicle and is not careful, then the wiring can get damaged. Of course, this is all possible if you are involved in an accident and the airbag deploys. If there are a lot of components in the steering wheel that are connected to these clockspring things, then how do you know that they are the problem? How do you isolate them as a problem? A scan tool is needed to check your electrical system. They will also test with a multimeter on the clock spring if it is warranted. They will also check against a wiring diagram and a repair manual to make sure that they know what circuits to test and which ones are used with the clock spring. You mentioned that bad service could damage this thing. I think I’ve had that done to my Nissan Murano. Can you elaborate on that? If someone is not careful when they working on your front suspension system and your steering wheel then you might have damage. The steering wheel should not be allowed to have a free-spin situation. The steering and suspension components should also be disconnected properly when work is done. If the supplemental restraint system needs work then the battery has to be disconnected before that occurs. Of course, as mentioned, the supplemental restraint system will have to be reset after all repairs are executed. Does SRS stand for something? Yes. It stands for the supplemental restraint system we have talked about on this page. Ok, we’ve talked a lot about this part but I have no idea what this thing is anyway. I’ve only heard about it because, I guess, my 2004 Nissan Murano has a problem with it. Could you talk about that? The airbag clock spring has the job of connecting the driver side airbag and the steering column. It also makes sure that electrical contact is constant between the airbag module and the electrical system found in your vehicle while you turn your steering wheel. It is a very important component of the supplemental restraint system. I don’t think I have the money necessary to deal with this kind of problem. It sounds really expensive. What can I do? If you have 25 dollars and a bank account then it is highly likely that we have a program that will approve you. It works for 95% of the people who walk in the door no matter what their financial situation is at the time. Stop by and see what the system will do for you. 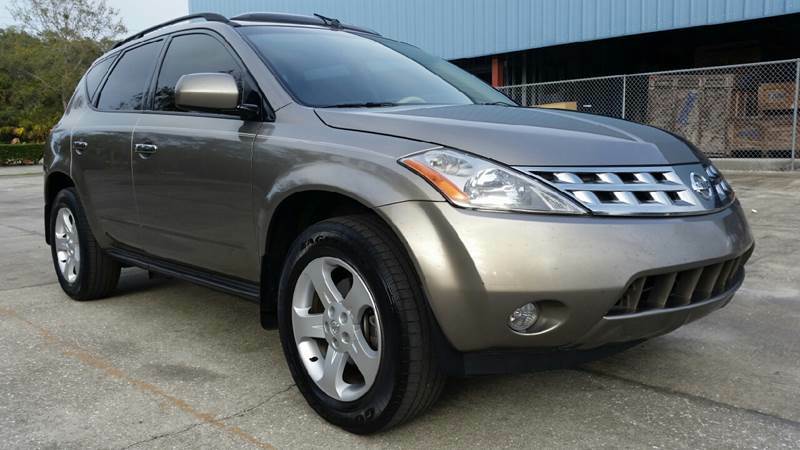 How can I talk to you about what might be wrong with my 2004 Nissan Murano? Is there a phone number? Could I stop by sometime? You can stop by or call us anytime during business hours. You can call us at 503-692-0846. You can also just drop by at 19460 SW 89th Ave. Tualatin, OR 97062.